We’ll support the iOS 8 Wi-Fi calling feature when it becomes available in Canada. In the meantime, Rogers customers using the Rogers One Number service on their computer, tablet or smartphone can already make calls over Wi-Fi. They can video chat with other Rogers One Number users or call any Canadian number for free, no matter where they are. For more info on Rogers One Number http://Rogers.com/OneNumber. Neither Telus or Bell, two of Canada's other big carriers, responded to the publication's request for comment -- though we'll let you know if this changes. Wi-Fi calling is a feature iOS 8 users are going to appreciate for a number of reasons. Besides being more battery efficient than traditional cellular calling while also reducing the consumption of voice minutes (if you're on a limited plan), Wi-Fi calling -- like FaceTime Audio -- offers smartphone owners a clearer, more crisp voice calling experience. Plus, as iPhone in Canada notes, Wi-Fi calling will also help Canadians reduce roaming fees when they travel to the United States. We'll let you know as and when more carriers (both in the United States and overseas) confirm support for the feature. 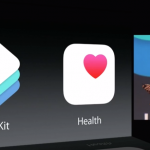 In the meantime, see: In iOS 8, Apple Has Ditched Yahoo For The Weather Channel, Halfbrick Soft-Launches Candy Crush Saga-Like Match–3 Puzzle Game Yes Chef!, and Apple’s HealthKit Faces Complaint From Health Software Startup Of The Same Name.